convention. 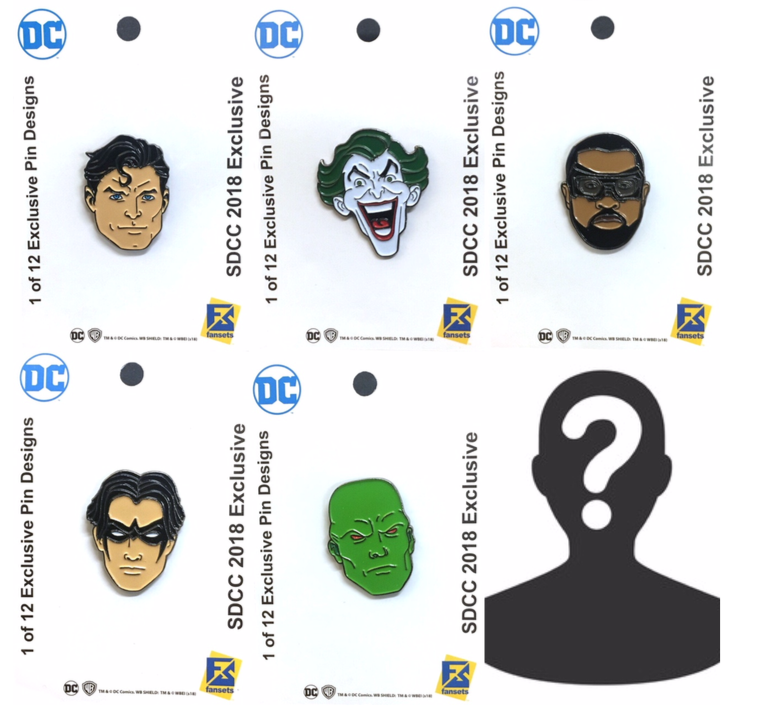 Last year’s collectible Comic-Con DC Justice League pins from FanSets and Warner Bros. have become sought after collector’s items on the secondary market. 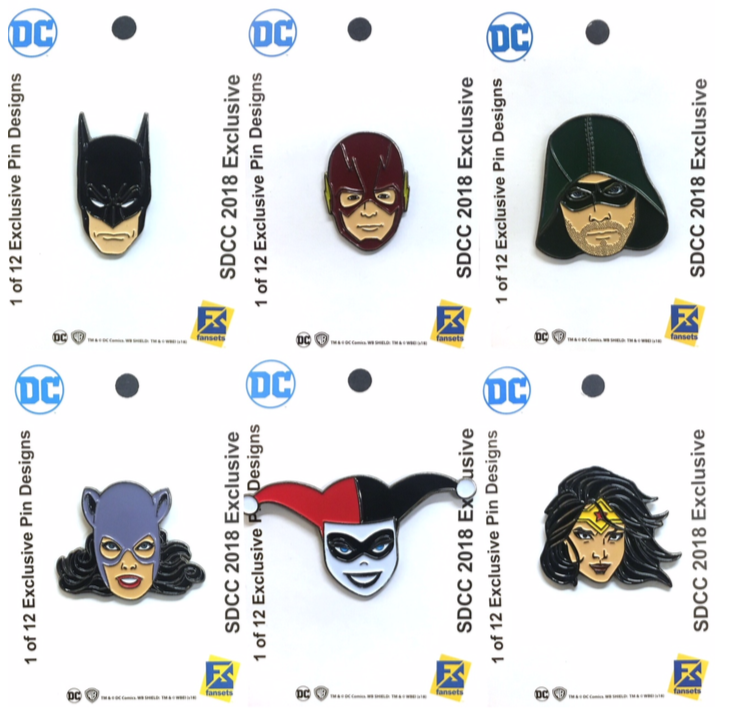 “We are proud to be returning as the provider of the gift pins for the 2018 SDCC with Warner Bros. It’s a great compliment to the quality and collectability of our pins that we were asked to be involved again for the second year in a row. Warner is a great partner to work with and we are proud of our association with them.” – Lew Halboth, Partner, FanSets. FanSets has become the “go to” manufacturer for convention exclusive pins creating product for conventions around the world. Launched in 2016, FanSets produces limited edition pins and pin sets for such sci-fi and comic legends as Star Trek, DC Comics, Wonder Woman, Harry Potter, Justice League and new major licenses soon to be announced. With 2018, the company has placed product in retail partners like Target and Hallmark Corporate stores and is looking to expand into other major retailers as well as more comic and specialty stores. 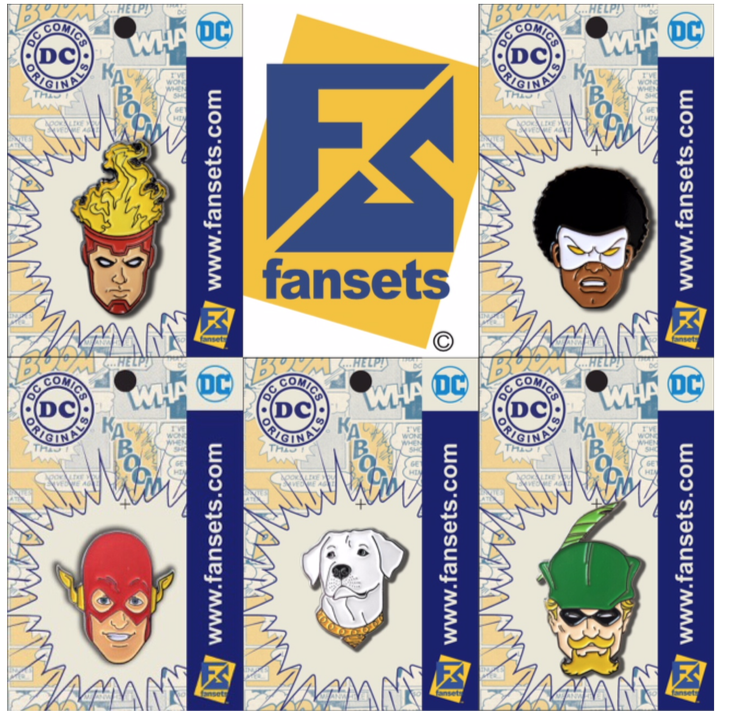 In the past year, FanSets has created over 200 high-quality, collectible pins just for DC Comics alone. The three partners behind FanSets have a rich history with fandom in general. Lew Halboth has 28 years of experience in the video game industry. His personal collection of toys and comics stretches back into the 60s. John Garrison has served as Director of Operations for two businesses and has managed companies in web design, retail and software development. He is an avid collector of comics and collectibles. Dan Madsen has had a lifelong association with many sci-fi franchises including Star Trek, Star Wars, Lord of the Rings and Back to the Future.He founded the Official Star Trek Fan Club in 1979, relaunched the Official Star Wars Fan Club in 1987 and created and published the Star Trek Communicator magazine and Star Wars Insidermagazine. He has produced hundreds of exclusive collectibles for both of these legendary franchises for the last 31+ years. For more information on FanSets go to www.fansets.com.All DC characters and elements © & TM DC Comics. designed to appeal to casual and serious collectors. The company holds licenses for Star Trek, Harry Potter, DC Comics and others featuring characters, ships, vehicles, actor autographs, sound effects and music as well as cutting-edge, patent pending Augmented Reality (AR) technology. More licenses will be announced soon. For more info visit the FanSets official website at www.fansets.com and also learn about coming events and products, a special membership club and exclusive “members-only” pins and special savings.